You saw my newest clam shell in an earlier post, so now I'd like to share the things that I place in them. 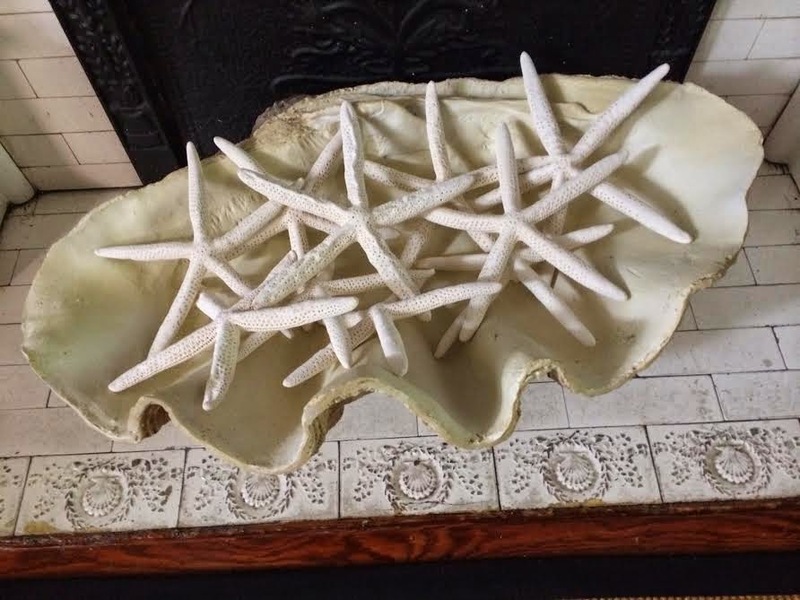 First of all, my newest clam shell from Wisteria contains several bleached white sea stars. I adore the monochromatic nature of the look. 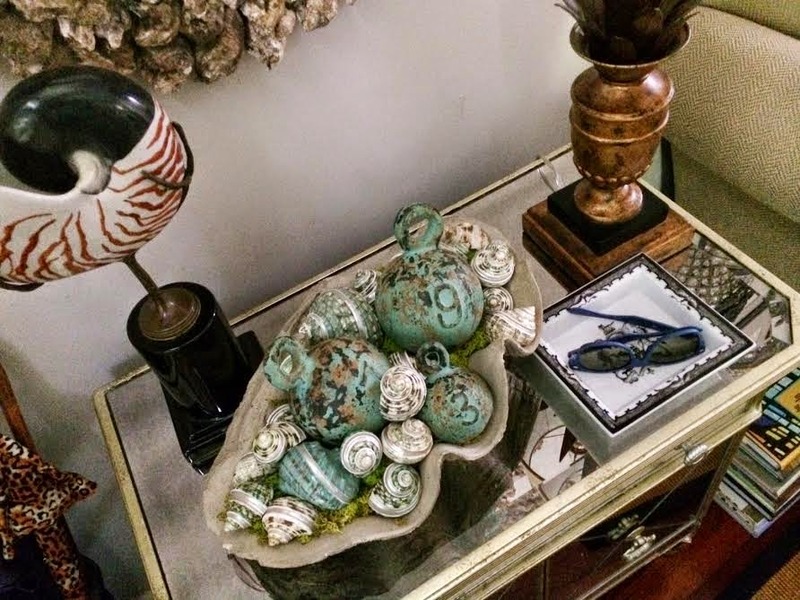 Secondly, the concrete clam shell on my entry cabinet features seashells in a beautiful turquoise hue as well as fishing weights that I scored from One King's Lane. 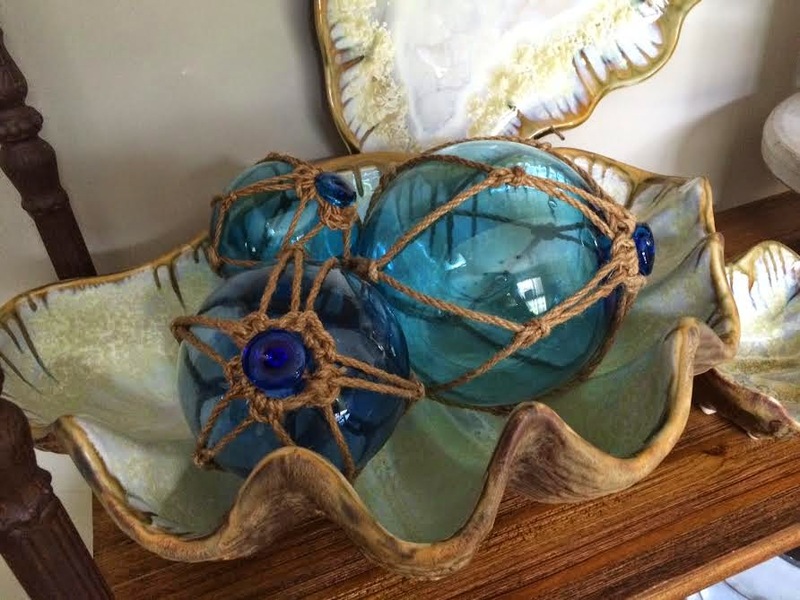 Thirdly, the Alison Evans clam shell in the dining room features a collection of roped, glass floating orbs. I love to change the look seasonally. It is always fun and interesting to change it up a bit from time to time. 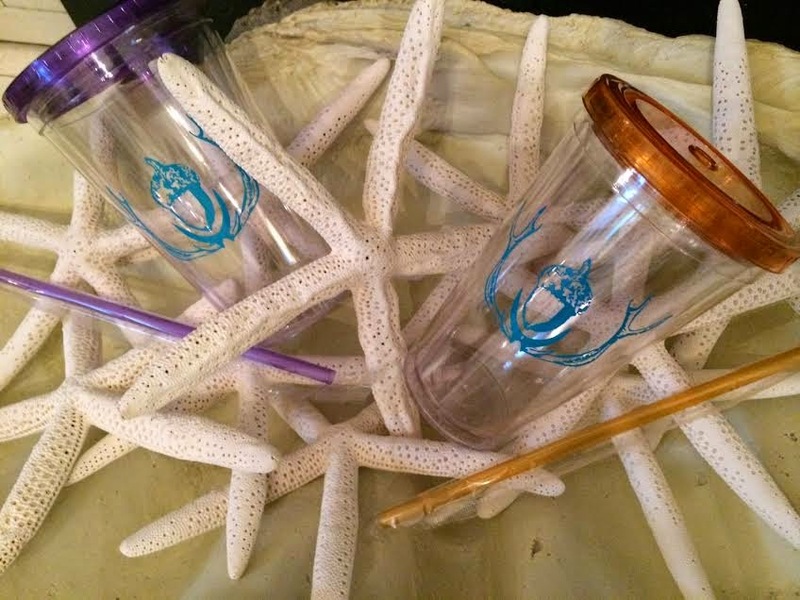 You have just ONE more day for enter the Uptown Acorn insulated tumbler give away: click HERE. 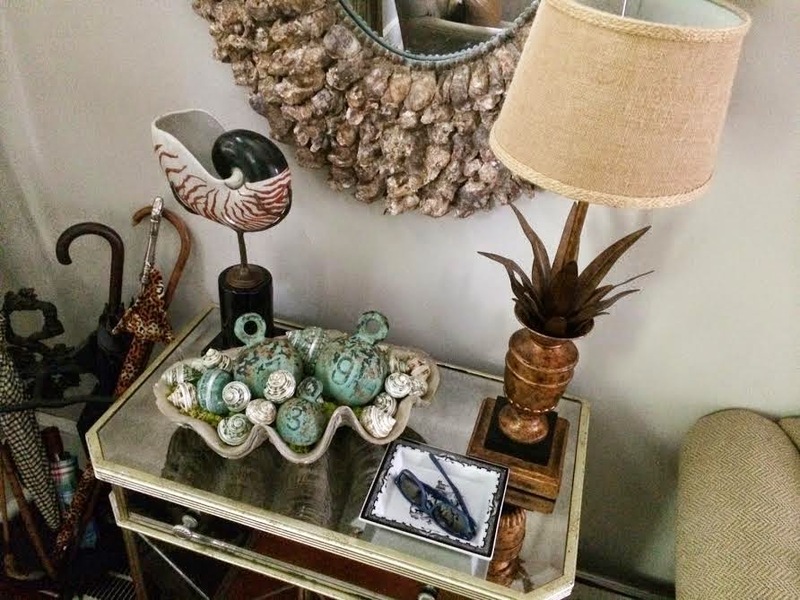 I love the different color combo's you have with your clam shells. The glass orbs are so pretty. That blue is one of my favorite colors! Fingers crossed on the Acorn insulated cups! Love your clam shell collection Ron. Love the blue in with all the natural colors. Love the whole vignette. 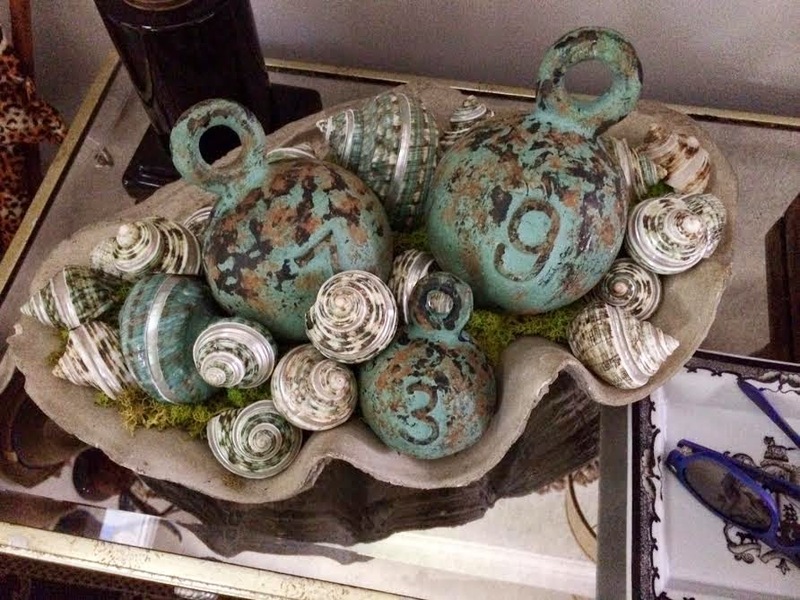 I love those fishing weights- what a great find! I didn't realize you had several of those large clam shells. They all look great! Love your clam shells and you always decorate them so beautifully. 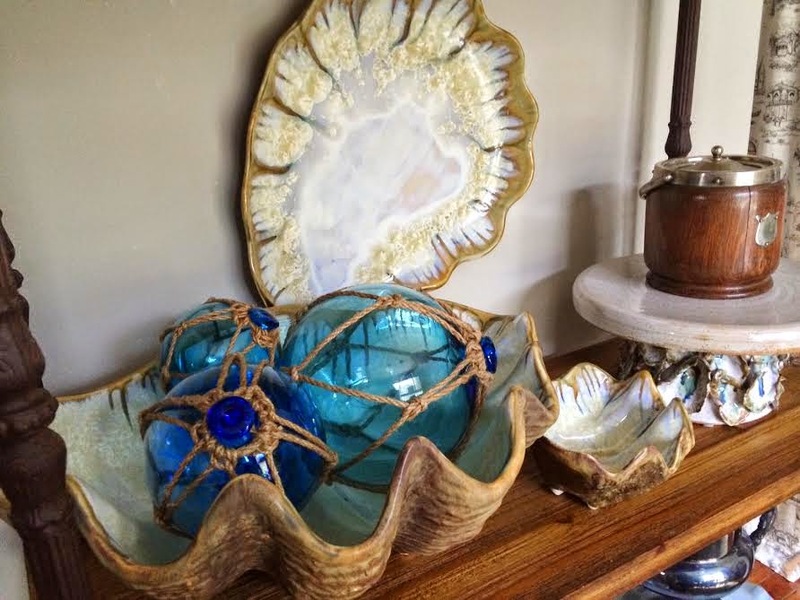 You've a real knack for knowing how to display things of interest in those clam shells. Love!! And, I am with Amanda...love the fishing weights and need to find some. They all are gorgeous, but the one in your entry with the fishing weights is my favorite.